Considering the number of fashion capitals there are in the world, along with the cities on the rise (we see you, Copenhagen), we’re now getting sartorial inspiration from all around the world. That being said, we still love looking a little closer to home for inquiries on what the It girls are wearing right here in our city (or one of them)—New York. A place with all four seasons and one that favors fashionable practicality, it’s not surprising that we’re seeing fall jumpsuit outfits on every stylish New Yorker, and we’re about to explain why. As the temperatures slowly start to drop and the air gets crisp, a jumpsuit is the perfect throw-on-and-go piece that makes getting dressed for the fall that much easier. Style this outfit trend on its own with a pair of cowboy boots, layer on a turtleneck and a jacket when you need some more coverage, or throw on simple heeled sandals for a more formal night out. 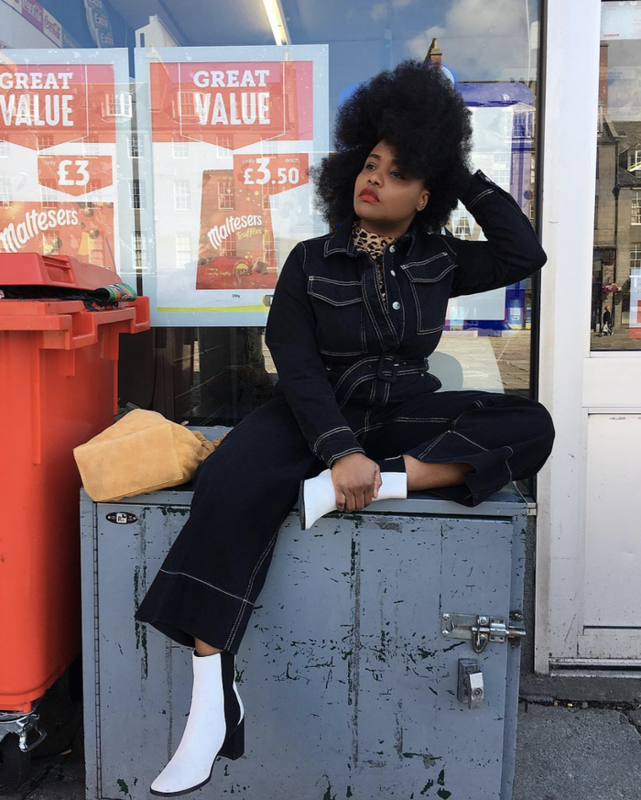 From our careful observation of outfits that look great but take little to no effort, the fact that jumpsuit outfits are reigning supreme in NYC this fall is no surprise at all. Ready to start wearing a New Yorker essential? We rounded up some of our favorite ways to style this one piece. These looks are so good you won’t believe how easy they are to put together. A '70s-inspired jumpsuit will look so good with a leopard-print turtleneck and a pair of boots. You'll find so many ways to wear this. Yes, white boots are still a major trend. Wear a bright red jumpsuit with a pair of minimalist sandals while it's still warm out. We can't get over our love for these minimal shoes. Style a floral jumpsuit for fall with a pair of black booties. Wear this in the fall and the spring. Sock boots are still so chic. You can't go wrong with an easy jumpsuit and Gucci loafers. Wear your overalls for the fall with a cool turtleneck and a shearling jacket. Dress these overalls up or down. You'll love this when the temperatures drop. A jumpsuit is the perfect option for a travel outfit. Stay comfortable with a cotton camisole and loafers. A comfortable jumpsuit is all we need. Layer this under anything for a little extra warmth and comfort. A utilitarian jumpsuit can be dressed up with a pair of chic pointy-toe pumps. You'll look so cool wearing these. Sport a classic beige jumpsuit with a simple belt for a weekend brunch. This will look so chic. A classic belt is all you need. A jumpsuit with patches will be a fun way to sport the trend. Keep it on the fashionable side with chic strappy sandals. This is worthy of an Instagram. Dress up a comfortable jumpsuit with a pair of timeless sandals. This khaki jumpsuit will look so good with the colors of autumn. If you're going to invest in a pair of classic sandals, get these. Contrast a romantic jumpsuit with some edgier pieces, like black sunglasses and a structured purse. Style a turtleneck under this for the colder days. These will look good on anyone. We'll never get tired of a '70s-style jumpsuit. Style it for fall with a black turtleneck. Wear this on its own or as a layering piece. Give your jumpsuit a more modern take with the popular shell jewelry. Throw this on when you want an easy outfit. We're not over shell jewelry just yet. Sport a snake-print jumpsuit for a fun night out with a pair of classic black mules. Wear this on a night out with a pair of heels. Stand out with a chic leather jumpsuit. Dress it up with Mary Jane heels. Nothing like a leather jumpsuit to make you feel chic for a night out. Don't you feel ready to dress like a New Yorker now?